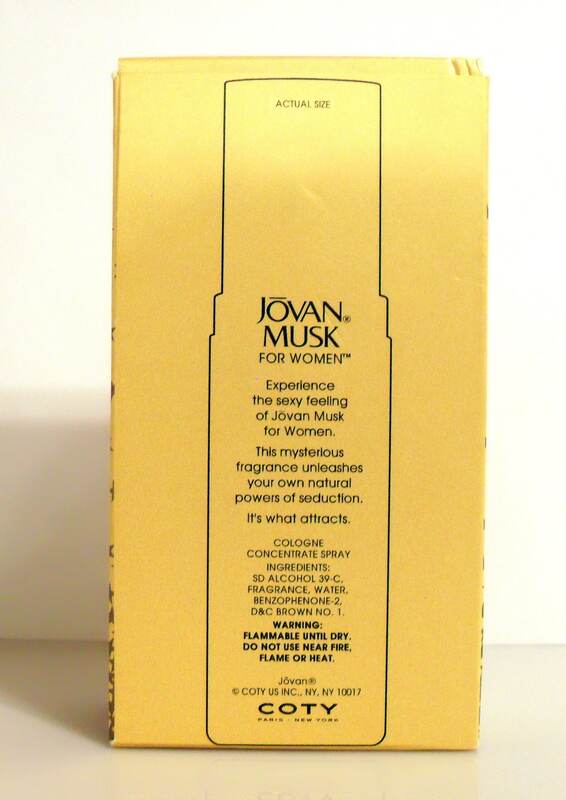 Vintage 1990s Jovan Musk for Women by Coty 2 oz Cologne Concentrate Spray and Box. The bottle is full - see photo for fill level. The perfume is old, but I just tested it and it still smells good and is wearable. 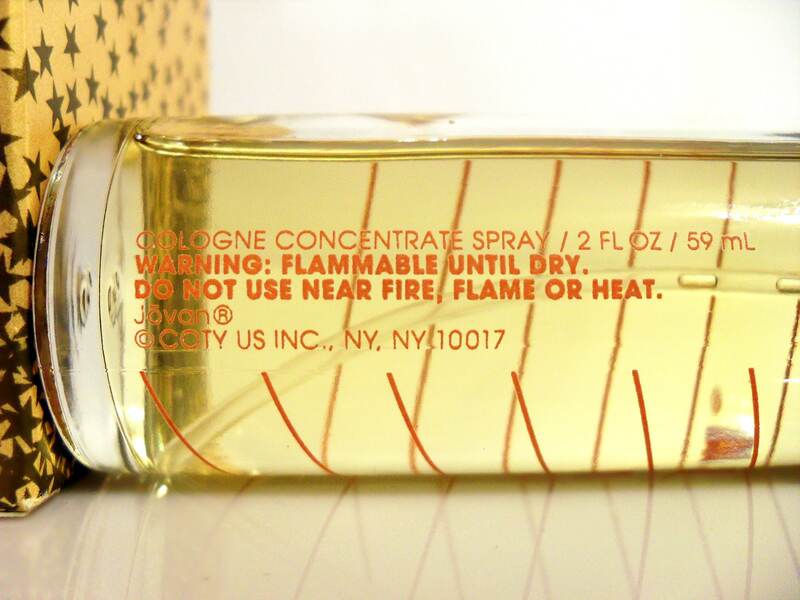 The back of the bottle is marked with "Jovan" and "Coty" on the back. 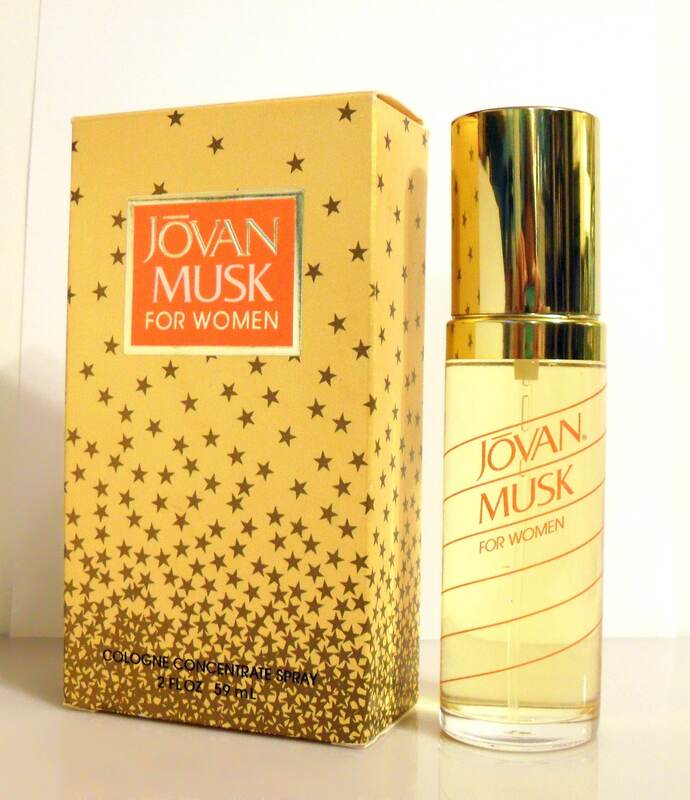 The Cologne Concentrate was described as "Jovan Musk Cologne Concentrate. Ready to be discovered in a concentrate that goes on like cologne, but comes on like perfume." It is classified as a floral woody musk fragrance for women and was launched in 1972.